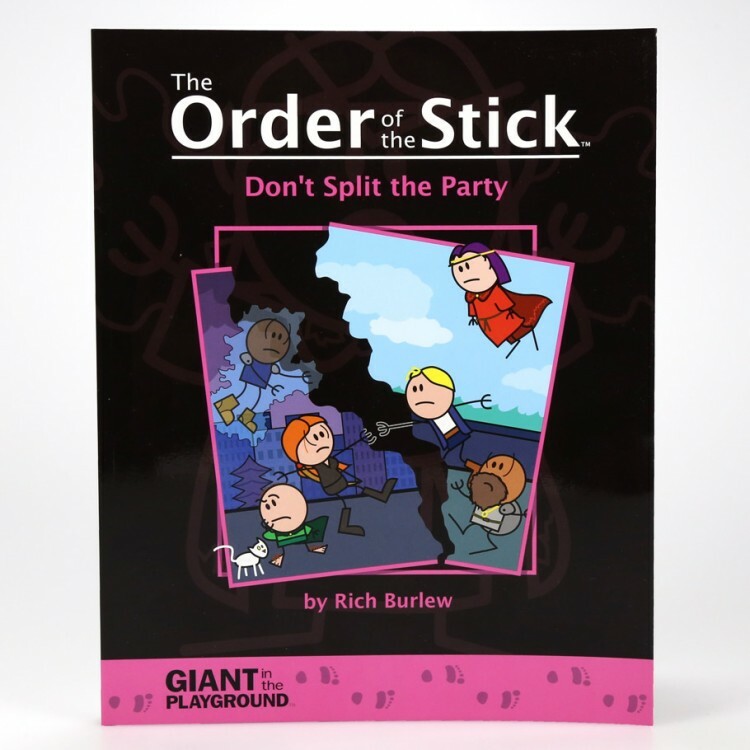 OotS: #4 Don't Split the PartyGiants in the Playground (Impressions)Divided by the events of War and XPs, our heroes struggle to reunite in this fourth compilation of the popular online comic, The Order of the Stick! With their leader, ah, indisposed, Haley leads the quest to bring him back from the, uh, the place that he is at. (Hey, some people only read the comic in book form, I don'twant to spoil it for them.) Meanwhile, her love Elan contends with new threats at sea, including some direct competition for her man! And how will these problems drive one of the Order's own to take an offer they should have refused? Find out in theexciting continuation of the OOTS story, Don't Split the Party! Here's what the book contains: All of the comics from #485 to #672, inclusive. More than 15 bonus comics, including two all-new deleted scenes: "Elan's Underwater Adventure" and "Get Roy". Ten pages of author commentary which will be horribly misquoted to support the more outlandish fan theories. A special dedication to Gary Gygax and Dave Arneson, creators of Dungeons & Dragons. Preface by Roy Greenhilt. A recap of events-to-date by Belkar Bitterleaf. Printed on 50% recycled paper.The long-awaited fourth compilation of the smash hit stick figure fantasy comic, The Order of the Stick, is here! Thisis a must-have for every reader of the ridiculously popular comic, directly continuing the story from the popular War and XPs.